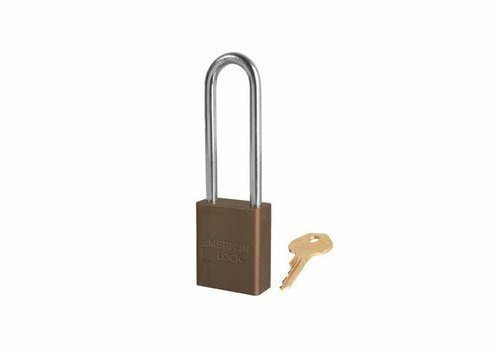 Nylon compact safety padlock braun with a (ø 4,70mm, H 50mm) aluminum shackle and key retaining function. 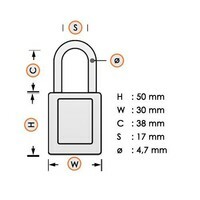 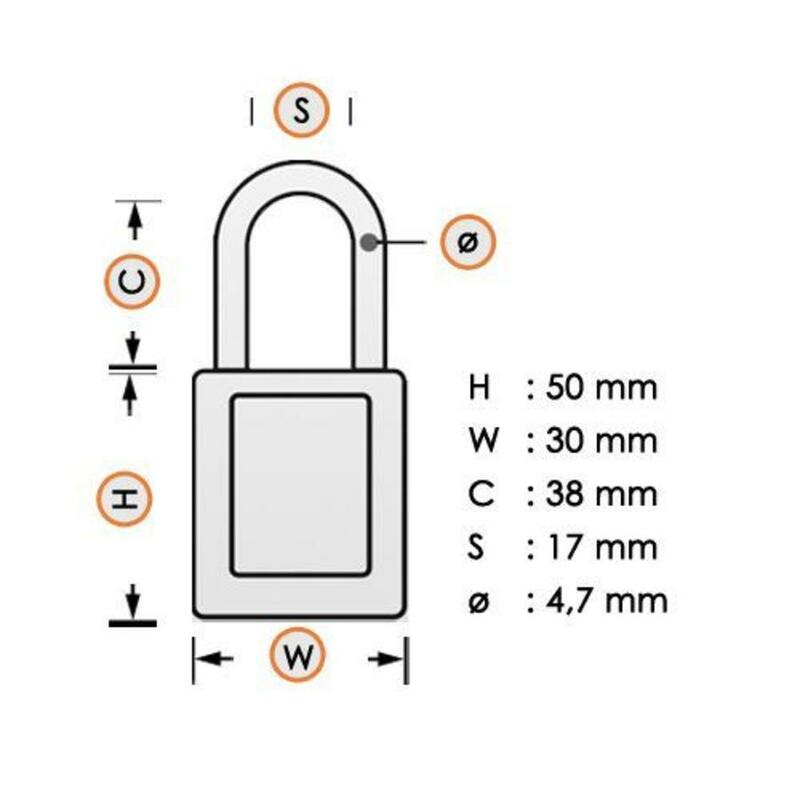 Leight-weight (65gr) nylon safety padlock braun with a (ø 4,70mm, H 50mm) aluminum shackle. 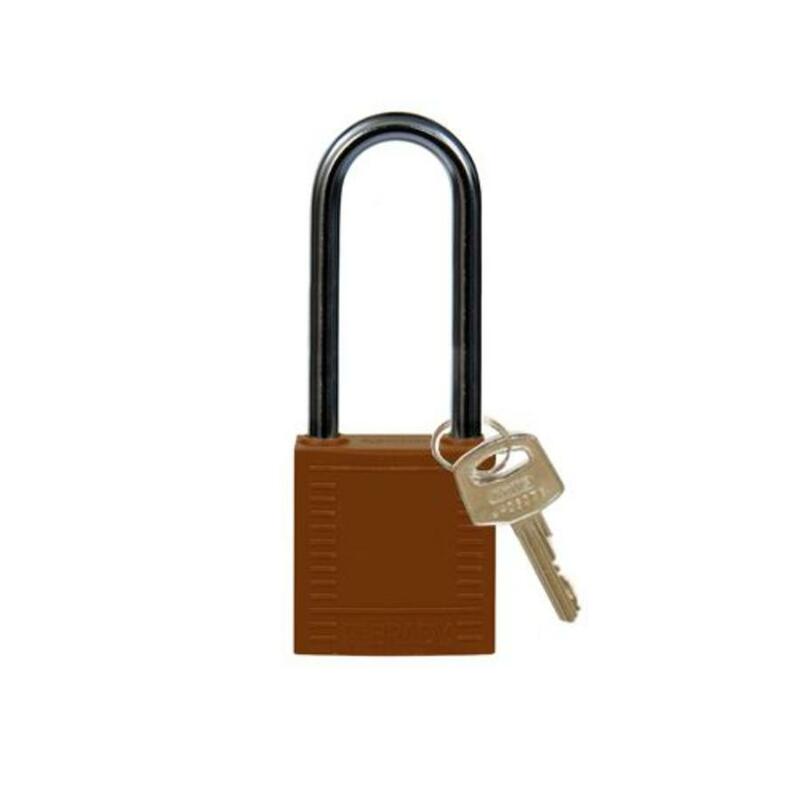 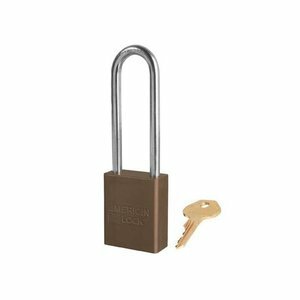 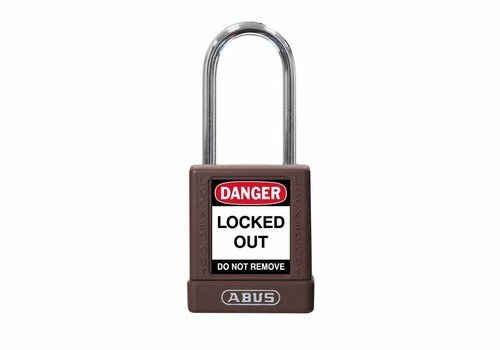 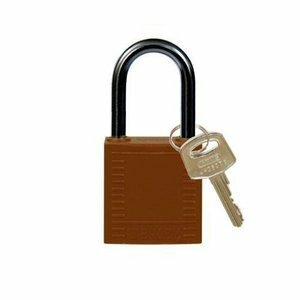 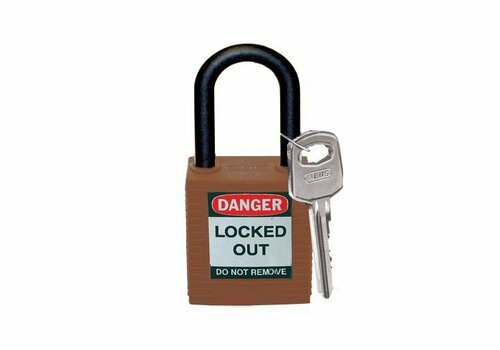 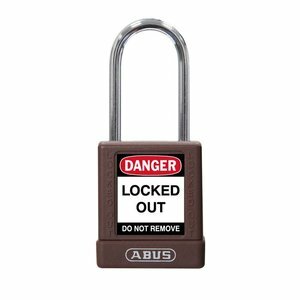 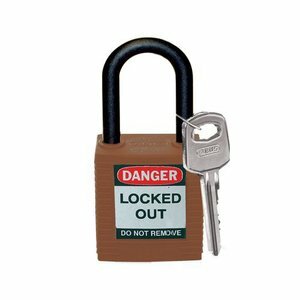 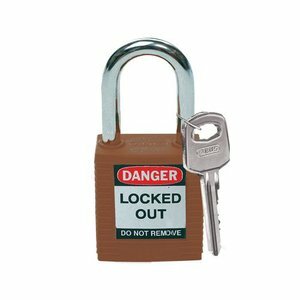 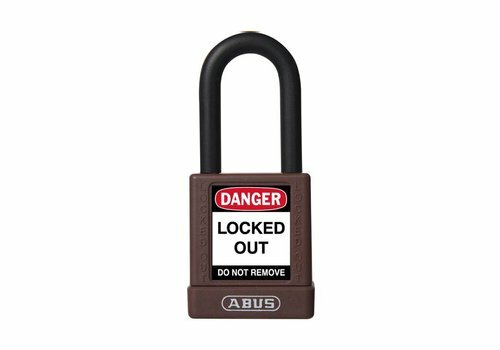 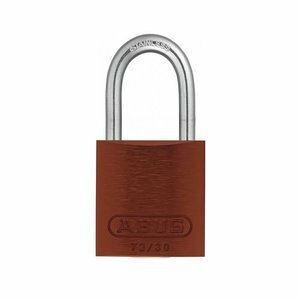 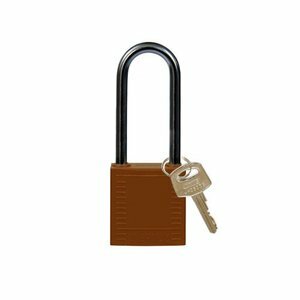 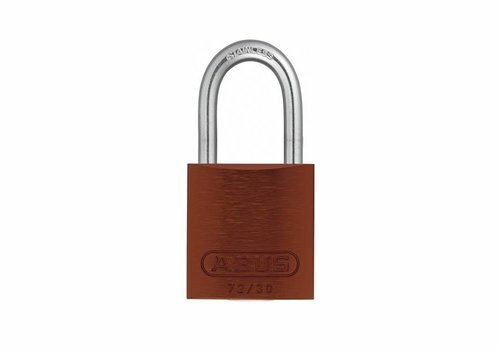 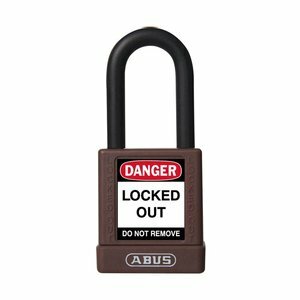 Nylon safety padlock brown with a (6.50mm) hardened steel shackle and key retaining function. 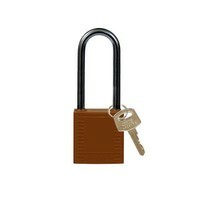 Nylon compact safety padlock brown with a (ø 4.70mm) aluminum shackle and key retaining function. 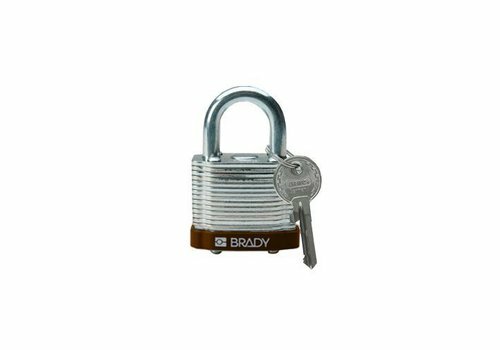 Laminated steel safety padlock brown with a (ø 7mm, H 38mm) hardened steel shackle and key retaining function. 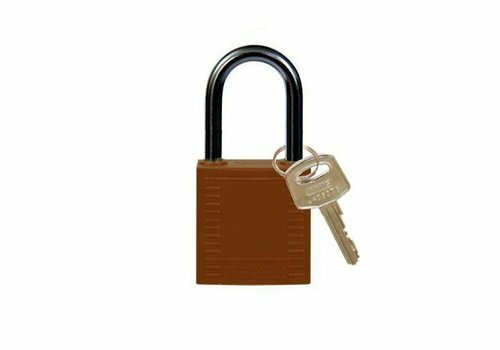 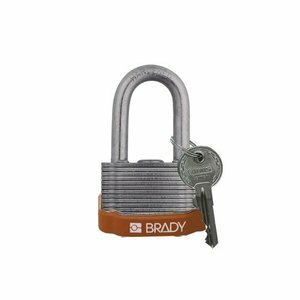 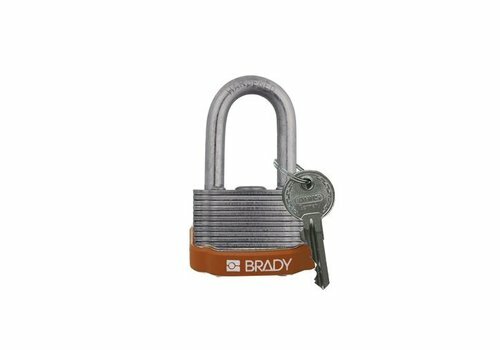 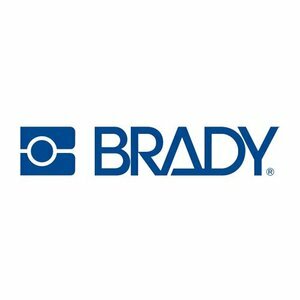 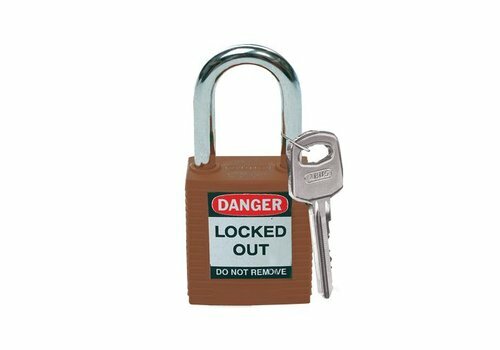 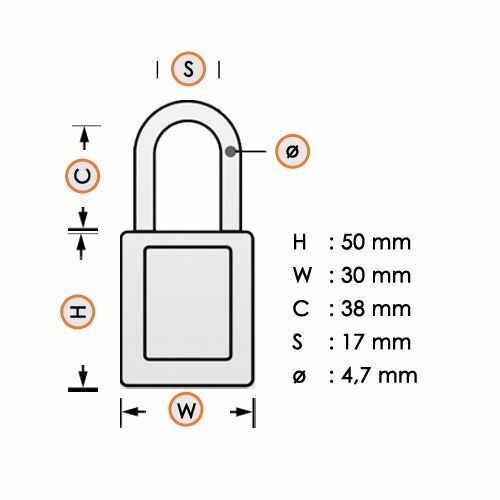 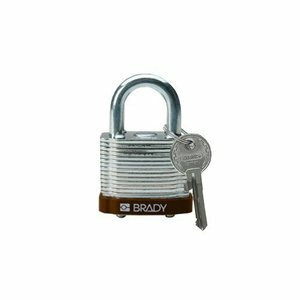 Laminated steel safety padlock brown with a (ø 7mm, H 20mm) hardened steel shackle and key retaining function. 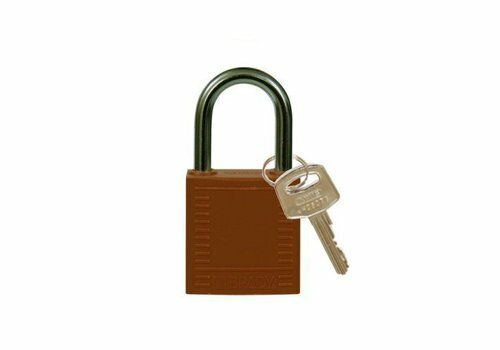 Nylon compact safety padlock brown with a (ø 4.70mm) short aluminum shackle and key retaining function. 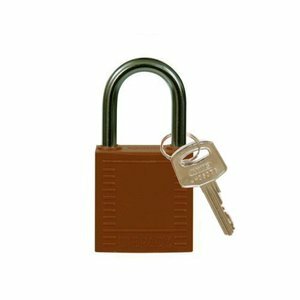 Nylon safety padlock brown with a (6.50mm) nylon shackle and key retaining function. Compact anodized aluminium padlock brown with a (4.70mm) stainless steel shackle.